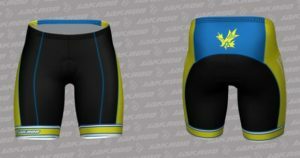 SAA club gear is provided by our supplier Jakroo. 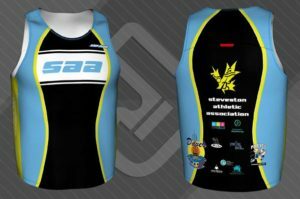 Items available for purchase include cycling shorts and jerseys, tri kits, running shirts, arm and knee warmers, and more. These items can be ordered directly from Jackroo in their online store at the link below. Orders placed by the 1st of the month will be delivered by the 15th, and orders placed by the 15th will be delivered by the end of the month. There are no minimums for re-orders – perfect for new members, or getting a replacement item fast. Please keep an eye out for FedEx tracking information the week of your scheduled delivery date. For jerseys, Jackroo recommends selecting Size based best on height, and consider Fit Style for width of body and preference for riding. STANDARD: this fit style is for the American athletic build for either gender. SLIM: fit style for the narrower frames, or for those who prefer a body-forming fit. 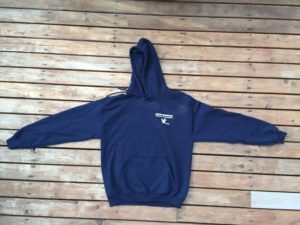 Bib/short sizing is industry standard and true to size. Cycling Outerwear, Triathlon and Nordic apparel all have upgraded PRO fabric options. PRO fabrics are tightly woven for increased durability, aero and hydrodynamics, and next-to-body performance. Standard fabrics use an adaptive fabric and premium stitching to fit a variety of body types. We also have SAA swim caps for sale – available in green and yellow. 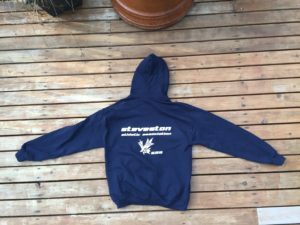 We also did an order for hoodies in 2016, and may do that again.